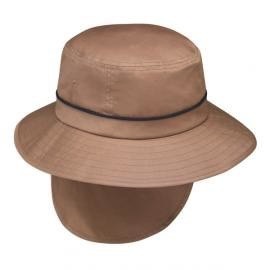 After numerous requests, we've added an outdoor hat with an 8 1/2"-long flap for complete neck protection. Perfect for all-day events like fishing, hiking, or watching a baseball game. 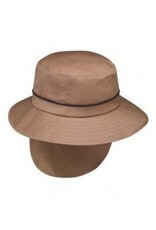 A Velcro pocket in the brim stows the flap when not needed. Adjustable chin strap. An internal drawstring adjusts fit. Sizes: M/L (59cm) and L/XL (61cm). 100% cotton. Handwash cold.